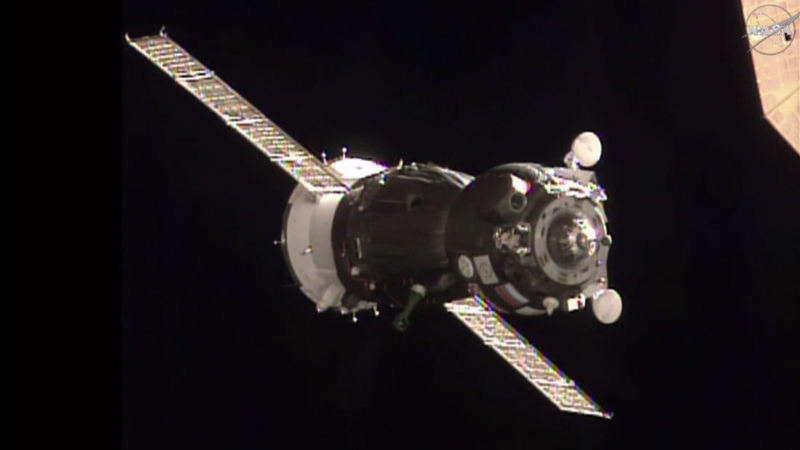 Soyuz Commander Yuri Malenchenko manually docked the Soyuz TMA-19M spacecraft at 12:33 p.m. EST to the International Space Station’s Rassvet module after an initial automated attempt was aborted. Malenchenko took control of the Soyuz, backed it away from the station to assess the Soyuz’ systems, then re-approached the complex for the manual docking. Flight Engineer Tim Kopra of NASA and Flight Engineer Tim Peake of the European Space Agency flanked Malenchenko as he brought the Soyuz to the Rassvet port for the start of a six-month mission. After leak checks are conducted on both sides of the docking interface, hatches will be opened and Malenchenko, Kopra and Peake will be greeted by Expedition 46 Commander Scott Kelly of NASA and Flight Engineers Mikhail Kornienko and Sergey Volkov of the Russian Federal Space Agency (Roscosmos). Watch the hatch opening and welcome ceremony live on NASA Television at 2 p.m. EST: https://www.nasa.gov/nasatv. To learn more about the International Space Station, visit: https://www.nasa.gov/station. For launch coverage and more information about the mission, visit: https://blogs.nasa.gov/spacestation/. To join the online conversation about the International Space Station, follow @Space_Station.